I’m growing healthier with every passing year. But it doesn't just happen. I'm MAKING IT happen. These brands help me stay true to my vision. I've purchased ALL of these brands, and some on an ongoing basis. Heard of MTHFR? Want to know if you carry one or more of those SNPS? Knowledge is power and of all the health tests I've done of the years I feel like this was the best $200 I spent. I now know that my natural enthusiasm and exuberance is due to a slow COMT! What the heck does that mean? My slow COMT is slow to clear catechols, estrogen, dopamine, norepinephrine and epinephrine from my system. The extra neurotransmitters give me abundant energy, enthusiasm and drive, but they also make it hard for me to power down, take a break and get restful sleep. So what are your SNPS? Time to find out. NO MORE FLUORIDE. I know, how controversial of me. We had a Brita for a long time. I got tired of constantly refilling it and drinking water that had been sitting in plastic. BPA-free sounds good, but the BPS it's replaced by concerns me. We purchased the Royal Berkey which is 3.25 gallons. If I could do it over I would move up a size and purchase the Imperial Berkey which is 4.5 gallons. There are 4 of us here and we fill up our Royal once to twice a day. 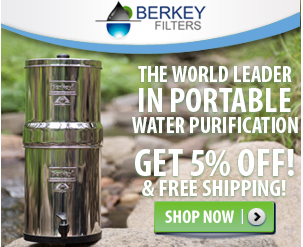 Purchasing a set of two Berkey Fluoride Water Filters was a given. We also purchased Berkey's shower filter for the one shower head in our 1300 square foot house. It reduces chlorine, scale, rust, and slime in our showering water. Hoorah for the small changes we CAN MAKE! Plus I think my Berkey is beautiful. Want clean water? Click on the link below for 5% off and free shipping. My sister got me into these oils and now I can't imagine my life without them. Thanks Shelagh. Last night we gave Lulu (our dog) a bath and even though she was clean, it smelled like "wet dog" wherever she went. She sleeps at the foot of my bed (not on it) and I knew I was going to have trouble sleeping. So I put PINE into my diffuser, LAVENDER on Lulu and within minutes it smelled so much better. I use multiple oils everyday and one or two in my diffuser every evening. There are so few pleasures in life and this is definitely one of them for me. Want to create a spa-like experience in your home? Buy essential oils. I love mine. Ahhhhhhh my whole body loves this mat. My back. My neck. My feet. I stand on it during the day and it makes my feet feel open and airy. If my back is bugging me I lie down on it and within seconds I feel the tension release. This mat is intense. And I personally believe it is definitely the best one out there. 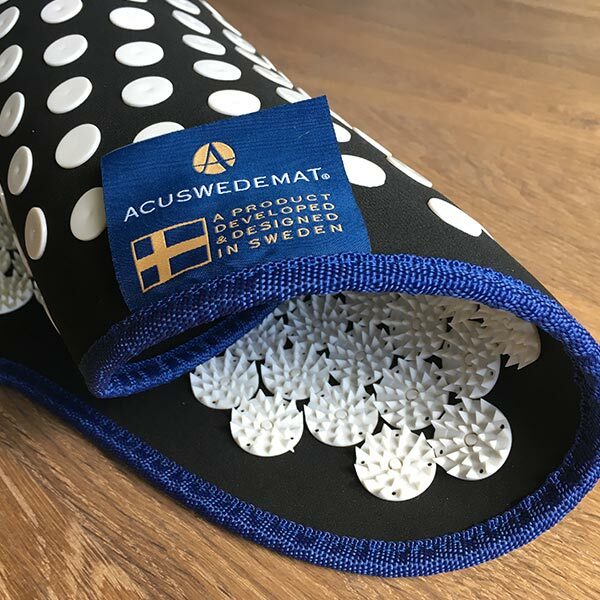 You can purchase a $30 mat on Amazon but the spikes will be dull and it will be a totally different experience. The Acuswede’s spikes are sharp. Not sharp like painful, but sharp like intentional. I LOVE this mat and spending time on it has become part of my spiritual practice. Want to release your tension? Use Root of Wellbeing in the coupon code section for $10 off an Acuswedemat (ASM). Where do I shop? I buy groceries from 3 stores: Costco, Vitamin Cottage and THRIVE Marketplace. When our monthly Thrive Marketplace box shows up on the front door my boys eagerly "help me" open it up and exclaim with glee at everything that comes out. Even the tuna fish. MOM, WE GOT TUNAFISH!!! MOM, WE GOT PLANTAINS! MOM WE GOT LARABARS! MOM WE GOT MCT OIL! MOM WE GOT SIETE CHIPS! Really. When you become a member, you automatically donate a free membership to a low-income family or individual. So feel really really good. Thinking about a career in health coaching? Want to become a functional medicine certified health coach? I get it, so did I!